Neill takes us to visit The Flower Lounge, his Belgravia Boutique, where his floral couture delights and inspires us with autumn flowers, arrangements, rare plants and planters of exceptional beauty. Although some recent warm and sunny days may feel like we're enjoying an Indian summer in London, autumn, with its magnificent colours and delightful textures, is in full bloom at the boutique. 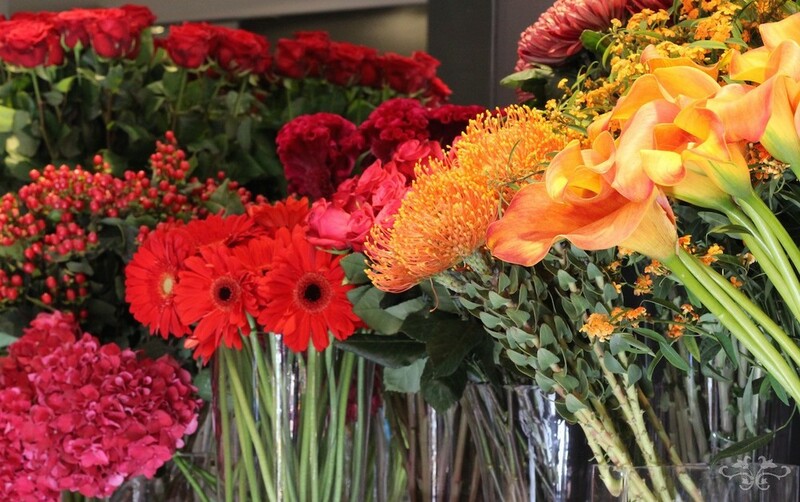 A visit to The Flower Lounge (the name of the Neill Strain Floral Couture flower boutique in Belgravia) is an inspiration for filling your home, your office or a special event with the richness of autumnal botanicals. 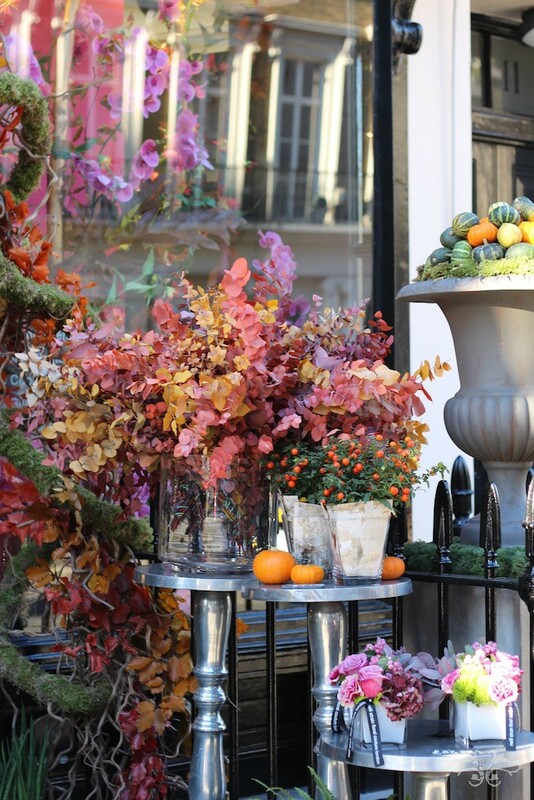 Neill Strain's boutique in Belgravia dressed for autumn. For those of you who have never visited the boutique, this is a chance to see what we do. Let's start with a glimpse of our range of autumn freshly cut flowers, berries and foliages, on display like a rainbow of colours to inspire customers to have us create something special, something bespoke in the style of floral couture. Creating something unique, some Neill Strain floral couture, for a customer seeking to make a very personal message with flowers. 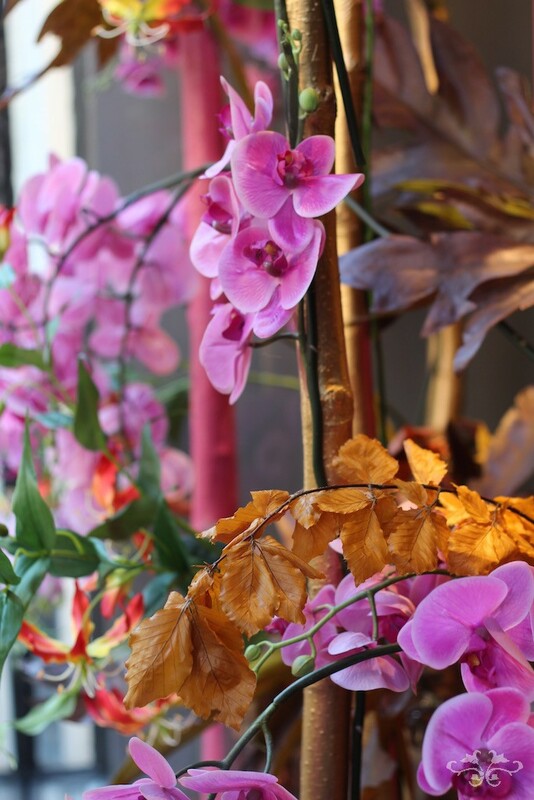 We produce a vast range of floral designs at the boutique, from very small and pretty (our Petite Couture arrangements) to large, theatrical installations at clients' homes or special events. Although a great deal of our work is bespoke, we always have "Haute Couture" hand-tied bouquets as well as arrangements in varying sizes, styles and containers and bunches of fresh flowers; all beautifully packaged and ready to walk out the door. Haute Couture hand tied bouquets are created with seasonal flowers, long stems and gorgeous blooms. 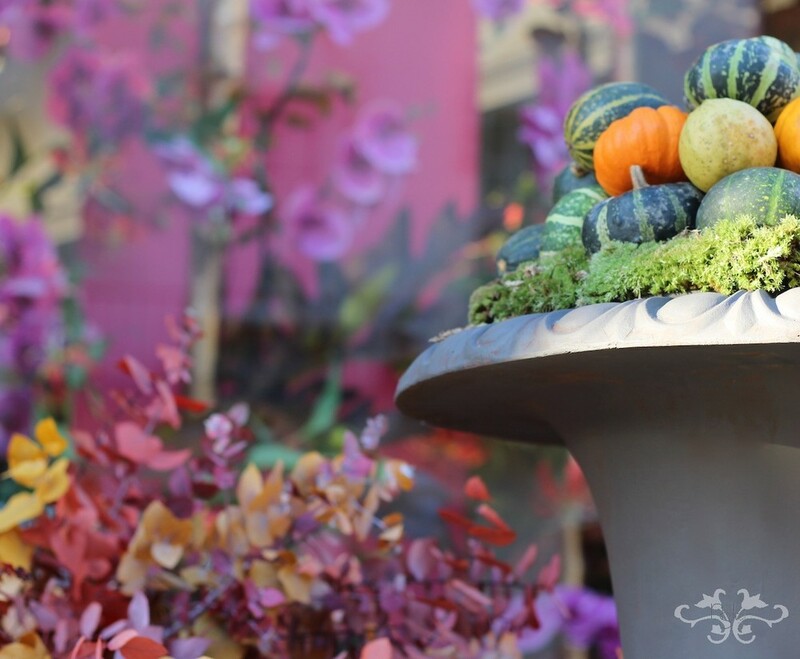 Petite Couture arrangements from our Autumn Collection at The Flower Lounge. In this blog post, I would like to share with you not only the beauty of our seasonal flowers and arrangements, but also introduce you to some of the rare plants and exquisite planters we offer. We always have a wide range of gorgeous plants, ranging from classic ferns for those looking for something traditional to carnivorous Nepenthes Pitcher plants for those with a taste for unusual and exciting. We also offer many colourful seasonal plants, this week it's Vriesca and Solanum with their bright orange berries; or for those who like subtle colours with wild textures, succulent and Aloe plants are quite seductive. 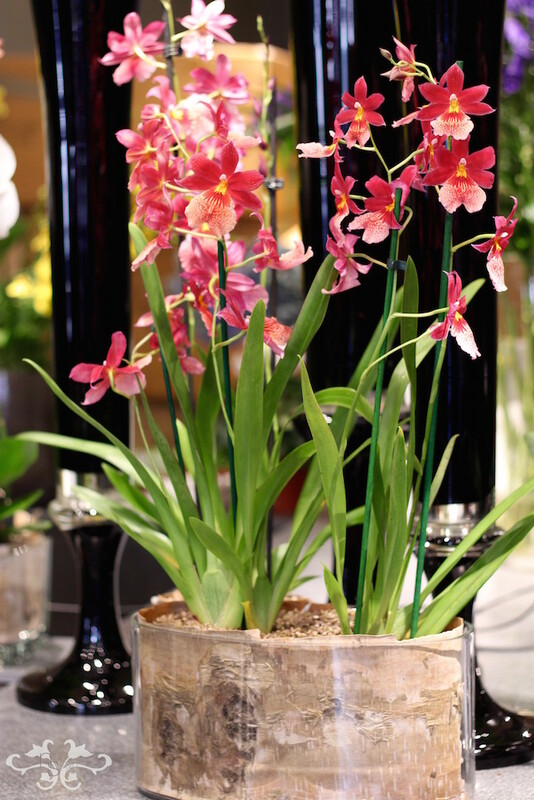 Our Orchid plants are probably the most eye-catching in the store, including Phalaenopsis, Cambria, Cymbidium and many more depending on the week. 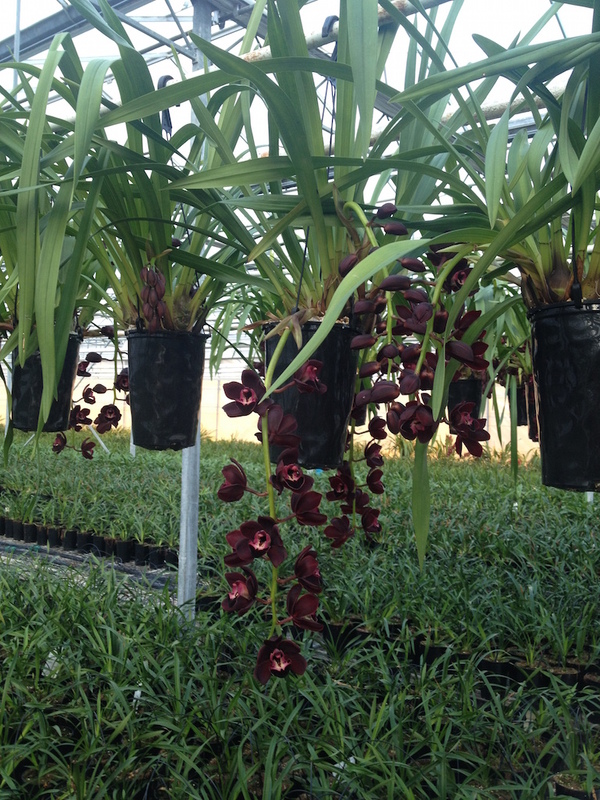 We decorate these Orchids with seasonal branches and/or accessories and pot them in our exquisite containers. One of my absolute favourites is the new Trailing Cymbidium Orchid. 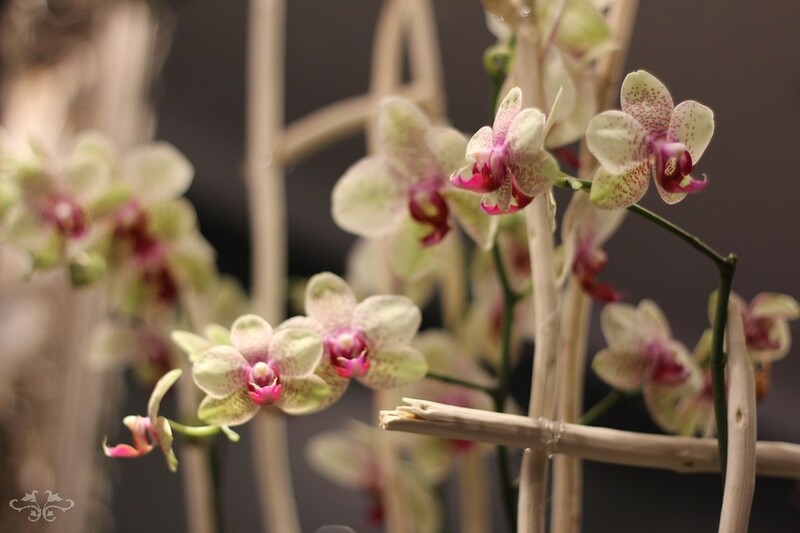 These Orchids are available in several new varieties - and colours - and are a recent addition to our Dutch grower's portfolio. The botanic ancestors of these Cascade Cymbidiums originally grew at the high altitude of 1500 to 2200 m on dead trees and rock faces in various regions of Taiwan, Vietnam and China. As such, these plants had no need to develop flowers rising upwards in search of sunlight, instead the flowers could lavishly hang downwards. 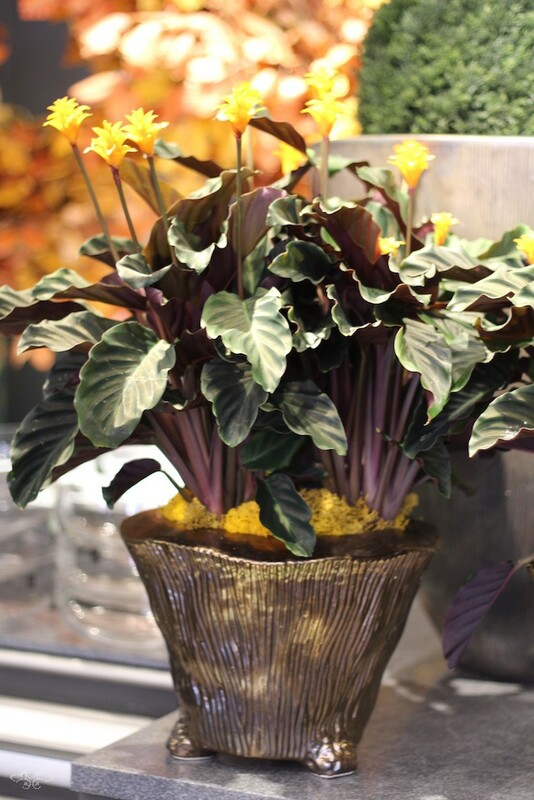 And these abundant, trailing flowers look really stunning in our exclusive containers, making a real statement of elegance and opulence in any home. Within our home styling services, we can style your home with plants and cut flowers to perfectly complement your interiors and personal taste. We prepare these at the boutique and then deliver them and place them on site. 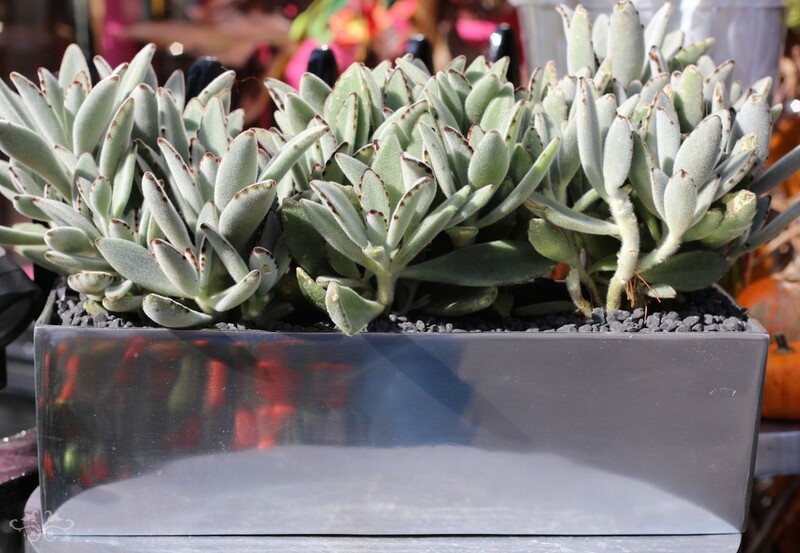 We can also create a planter using your own favourite container. Last but not least, don't forget Halloween is on its way... Do drop by the boutique and enjoy all the gourds and festive treats we're preparing to celebrate the feast of All Hallow's Day. Celebrate Halloween with Neill Strain. Gourds and candle by Rachel Vosper. I hope this blog post has been both informative and inspirational giving you an insight into what goes on at The Flower Lounge. It's a haven of colour and scent that we enjoy sharing with our customers. We look forward to seeing you there soon.